You know what's not funny? J.J. Abrams Lens flare jokes. I mean, there was a point in time between his first Star Trek movie and the announcement of him as the Star Wars director where there was a marginal humorous quality to making fun of his use of the technique. Probably some film student who wanted to demonstrate his or her knowledge of film terminology, thus elevating themselves to an assumed level of critical superiority, which gave them the kind of smug, knowing smile that indicates a festering sour grape, fizzing in the pit of their own ambition. That's only about a quarter of his colorful opinion on lens flare jokes, but you probably get the idea. The whole interview is well worth a read. 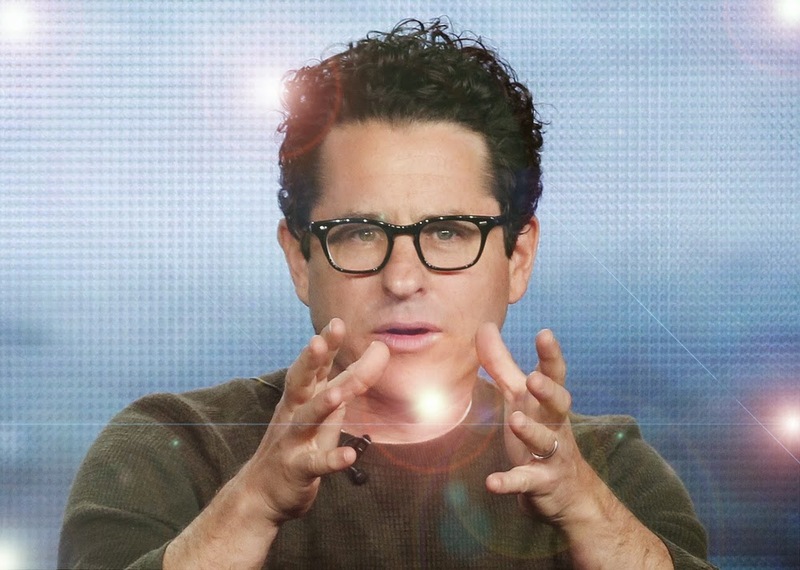 The lens flare joke issue got even more out of hand after Disney announced J.J. would be directing the new Star Wars. Do a simple Google search sans Abrams's name and you'll see it in the number and type of results. Be sure to check the image results and video results. Seriously. I want you to realize just how old, overused, and unoriginal your lens flare joke is. Done? Good. 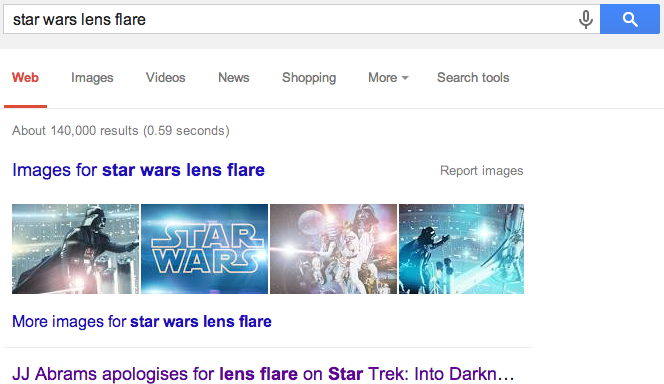 Your lens flare joke is old, overused, and unoriginal. Want to know something actually funny, though? George freaking Lucas was putting lens flare in Star Wars long before J.J. Abrams. I know it's hard to find in Google due to the avalanche of unoriginal Geeks trying to pretentiously demonstrate their firm grasp of both Star Wars fandom and filmmaking prowess, so you can make it easy on yourself and go watch Star Wars for yourself. Hell, just make it past the opening scroll of A New Hope and you see lens flare. Lucas used two camera techniques at this point in the movie. A slow pan and a lens flare! I was able to dig up a few clips that show a good example, but this isn't all of it. Speaking of pretentious Star Wars fans... I know the technique is used more in the prequels and don't care if you don't consider the prequels real Star Wars movies. This first one I was able to get is a concise clip from A New Hope. Like I said, go watch Star Wars. There's more than just this one, just not in a digestible web form. This clip is a bit longer, but showcases some of the most blatant examples of lens flare being used by Lucas. Again, long clip, but it's used several times. Specifically in Duel of the Fates. Anyway, there's a reason J.J. Abrams was chosen to direct the new Star Wars. A lot of this is due to the way his style resembles George Lucas's. I won't say Lucas used lens flare more. That likely isn't true. Lens flare is something I've always found to be a significant element in the look of Star Wars, specifically some of the more iconic shots. Of course, maybe we'd have more to talk about than Abrams's flair for lens flare if we could hear some official casting and plot announcements. In the meantime, we can imagine all the Star Wars movies that could be and hopefully we'll hear soon.